Properties in Kootenai County average 4.7 out of 5 stars. Property 1: Lakefront condo w/great balcony & resort attractions - including shared pool! Property 2: Stylish condo w/ mountain views - right on the lake, year-round outdoor fun! Property 3: Beautiful, lakefront condo w/ mountain views - year-round, outdoor activities! Property 7: Bright, open condos w/ mtn views, near outdoor activities - right on the lake! 'The Nook' Cozy Flat Nestled in the Trees by the Creek. Property 9: 'The Nook' Cozy Flat Nestled in the Trees by the Creek. 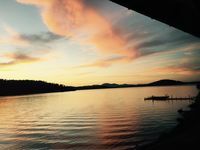 Property 10: Waterfront Lake Coeur d’Alene condo w/on-site marina & pool! Perfect waterfront fishing retreat floating in the Bayview marina! Property 12: Perfect waterfront fishing retreat floating in the Bayview marina! Property 14: Lakefront condo with fantastic Coeur d'Alene views & pool! Property 24: Cozy condo w/ fireplace, shared indoor pool & marina views! Loft--Walk to the Lake, College, Downtown, Centennial Trail and Park! Property 27: Loft--Walk to the Lake, College, Downtown, Centennial Trail and Park! Property 40: Clean, comfortable, spacious Fort Grounds apartment: great location! Property 44: Luxury Coeur D’ Alene Condo, steps from the Spokane River and Centennial Trail. 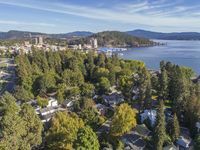 Property 46: Immaculate Condo in Riverstone, near Downtown CDA! Enjoyed our stay here. Newly remodeled bathroom. Fully functional kitchen with necessary utensils, cookware, and some coffee plus few goodies were provided in the refrigerator. Mattress was awesome. As noted in the listing comments, some upstairs foot traffic was audible downstairs, only an issue once and the owner's kids kindly &amp; politely curtailed their activities. No cable or local TV, but Netflix, etc was provided. WiFi good. Great location for downtown exploration and lake views are just down the street.